The Florida LGBTA Democratic Caucus, representing lesbian, gay, bisexual and transgender Floridians, today commended Florida Members of Congress for cosponsoring HR 4222, The Ruthie and Connie LGBT Elder Americans Act of 2017. Rep. Darren Soto (FL-9) today signed on as a cosponsor, joining Florida Reps. Charlie Crist (FL-13), Ted Deutch (FL-22), Lois Frankel (FL-21) and Debbie Wasserman Schultz (FL-23). The bill, introduced by Crist, Deutch and Rep. Suzanne Bonamici (OR-1), has 11 other cosponsors from around the country. HR 4222 amends the Older Americans Act of 1965 to provide equal treatment of LGBT older individuals in access to healthcare and other essential services. The bill is named for Ruthie Berman and Connie Kurtz, West Palm Beach residents who have been together since 1974 and married since 2011. While Ruthie was a teacher at a Brooklyn high school in 1988, she and Connie sued the New York City Board of Education for domestic partner benefits, ultimately winning their case in 1994. A documentary about their lives, Ruthie and Connie: Every Room in the House, premiered at the 2002 Berlin Film Festival and won six best documentary awards within a year. 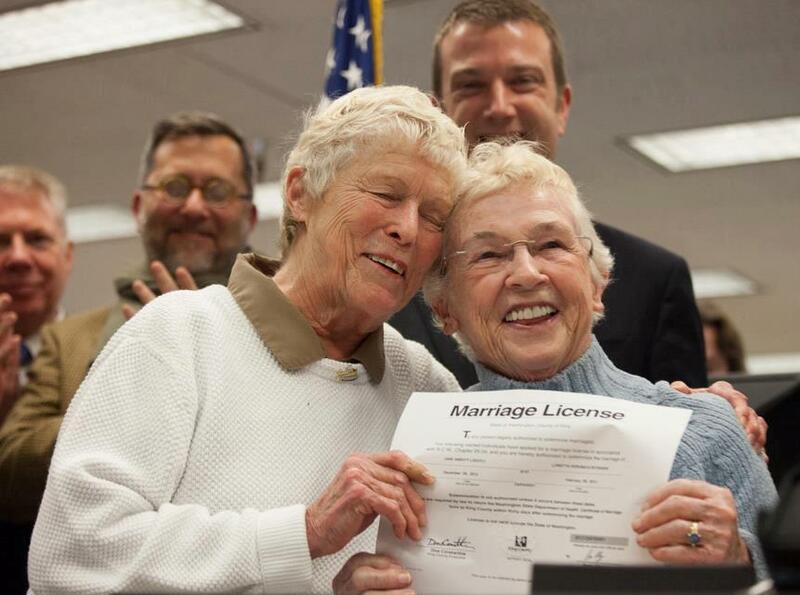 Ruthie and Connie have been visible advocates and symbols for LGBT equality.